Power Query - Why You Should Care? Power Query is a relatively new tool in Excel that allows you to fetch data from multiple sources, clean and transform this data with a few clicks, and use it for creating reports, dashboards, and Pivot Tables. I don't think I can do justice to Power Query's awesomeness by explaining it in 2 lines, so let me try and explain it with an example. Tell me this - How much time would it take for you to combine data from 12-15 workbooks into a single data set? A few minutes or may be an hour I suppose...right? If you're using Power Query, you can combine the data from all the workbooks in a few clicks. Time taken: Less than a minute! And what if you get a set of new workbooks next month? Well - it only takes a few seconds now. Since you've already done it once, you simply REFRESH. 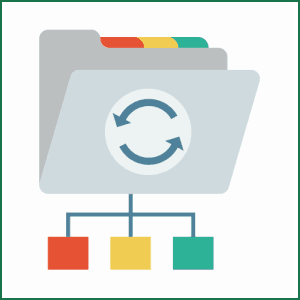 So to better frame it - Power Query allows you to connect to multiple data sources (be it files, folders, databases, web pages, etc. ), fetch the data in a few seconds, clean the data with a few clicks, and then load it in Excel or data model for further use. And when new data knocks, you simply refresh. Power Query is not meant for Excel Pros only. Anyone who is comfortable with Excel can use this tool to automate their work. It has an easy to use interface and all you need to know is how to use it the right way. How Can You Get Power Query? If you're using Excel 2016, Power Query is already available in your Excel workbooks. It's called 'Get & Transform' and is available in the Data tab. If you're using Excel 2010 or 2013, then you can download and install the Power Query add-in (it's absolutely FREE). I cover this in the course. Unfortunately, if you're using Excel versions before 2010, or using Excel for Mac, Power Query is not available to you. 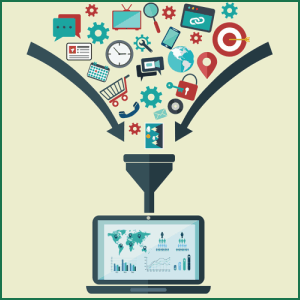 Power Query comes with a different interface and a lot of new functionalities. 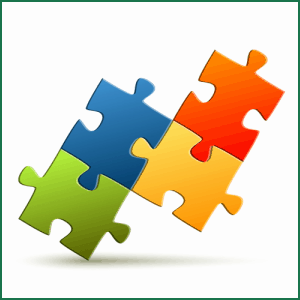 At first, you may find it overwhelming, but if you learn Power Query in a structured way - it's not difficult at all. When I was learning Power Query, I had to go through a few books and the help section articles. A fragmented approach of learning made it difficult. But you don't need to go through the long and tedious process. I have created this Power Query course to give you a complete overview of the tool, and then show you the awesome things you can do with it. 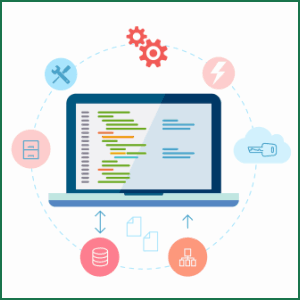 If you're able to use Power Query to automate even a little bit of your work, your time and investment in learning Power Query would worth it. I am Sumit Bansal, your instructor in this Power Query course. Over the past 10 years, I have trained thousands of people in using Excel efficiently. I have also been recognized by Microsoft as an Excel Most Valuable Professional (MVP). I have been learning and working with Power Query for some time now. Since it's a relatively new tool - with new features/functionalities frequently being added to it - I noticed a lack of good learning resources. Sure there are some books and random videos, but a structured step-by-step process to learn Power Query is missing. So, I created this course to help people learn Power Query form scratch - the fast and easy way. Thank you so much for your tutorials and guidelines, I can say it has really made me a pro in the office due to the knowledge I've been able to get from you. This Excel Power Query course is a 100% self-paced online video course where you get access to all the lessons and example files as soon as you register. The lessons are crisp and full of practical examples that will help you apply the learning to your work from Day 1 itself. The course is packed into 7 modules (~5 hours of videos) that will allow you to master the concepts in the best possible way. 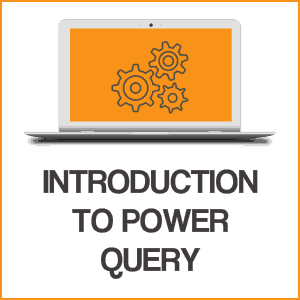 This module gives you an overview of Power Query. This module will show you how to connect Power Query to different sources and fetch data from it. 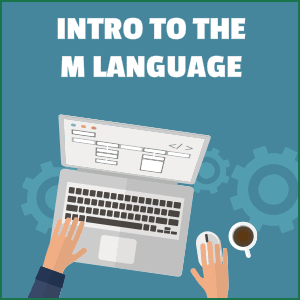 This module introduces you to the powerful back-end language of the Power Query engine - the M Language. The video tutorials come with downloadable example files used during the recording of the videos. WAIT - You Get Some Excel Goodies Too! 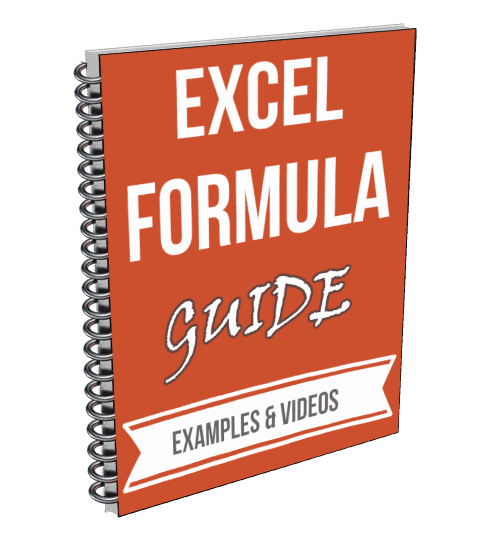 You can't go far in Excel without a good understanding of functions. 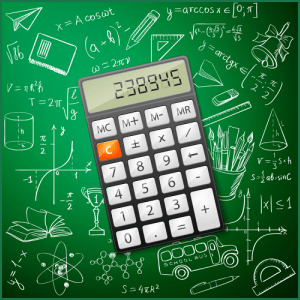 This guide will help you in mastering the most used Excel functions. 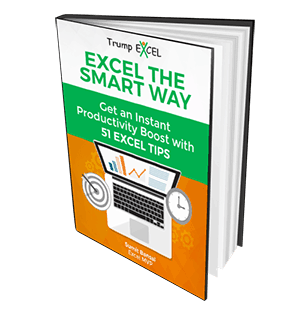 You will get a PDF explaining all the functions and example Excel workbooks. 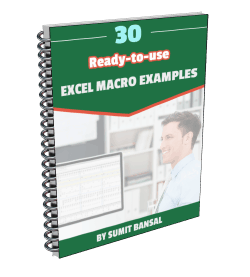 Get ready-to-use macro examples that you can simply copy and paste in Excel and start automating tasks right away. Just by using the examples shown in this Ebook, you can save a lot of time every day/week. You have no idea on how your videos are. They are great! You are so good at this, You teach with great consideration. What I mean by that is You teach at a level that is easy to understand and you explain really well in simple terms. Keep it up! Can I enroll now but start the course later when I have time? Yes. You can go through this course whenever you have time. This is a self-paced course where you can learn at your own speed. Do I need any prior knowledge of Power Query to take this course? No. Even if you're hearing the word Power Query for the first time, you can enroll and benefit from this course. It would be better if you have some basic knowledge of Excel though. What version of Excel I need to have to use this course? Power Query is available for Excel 2010, 2013 and 2016. It's available on Windows only (not on Mac). If you're using Excel 2010/2013, you can download the official Power Query plugin (FREE). For Excel 2016, you already have Power Query built-in (it's called Get & Transform). What version of Excel have you used in this course? I have used Excel 2016 while recording this course. The same options that are shown in the course are also available for other versions of Excel - 2010 & 2013. Yes! Let me know when you're done and I will send you the certificate PDF. Do I get access to future videos that are added to the course? Yes! You get a lifetime access which includes all the future videos and Bonus that are added to the course at a later date.